What do I like to do today? So what would I like to do today? I want no burden. No debts. No worries about how I would pay my credit card because I again swiped my card when I saw that lovely black dress. With freedom as my goal, I then tried not to use my credit card for a month. I paid hard cash instead for my purchases. Then, my habit of buying decreases because I’m using my cash. Eventually, I’m spending less. I just got my credit card bill. And what would I like to do today? I will call BDO redemption center to claim my reward for paying not less than 37,000.00 monthly for so many years. 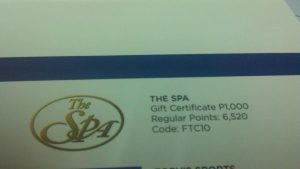 And I prefer that spa GC. 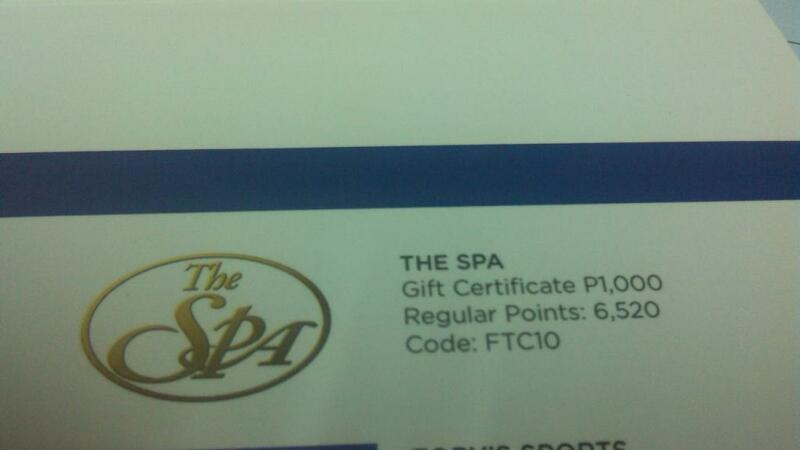 And I know that I will enjoy my spa treat because I do not have to worry about my credit card anymore. 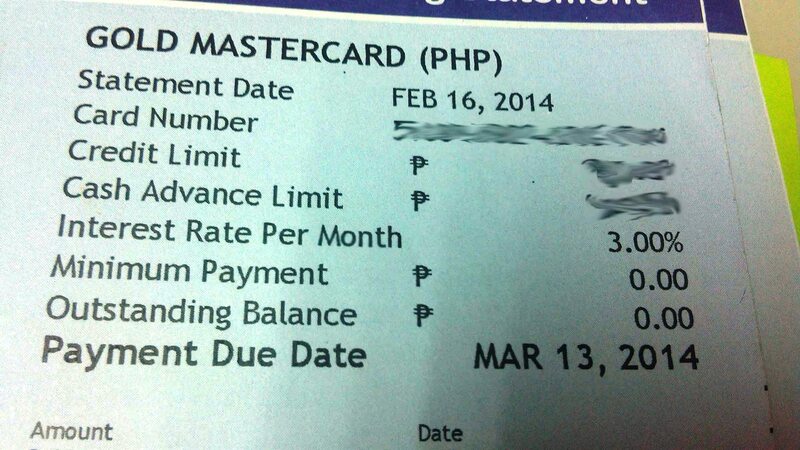 I don’t have any outstanding balance to pay BDO. I am one debt-free person! 37,000? Hehe wow! But yes, paying in cash effectively curbs my mindless spending too. That’s nice. Discipline lang talaga, ano? CONGRATULATIONS!!! being debt free is a dream of a lot of people. Keep up the good work! Ah yes, I can’t wait to declare that we are finally debt free by December. OMG. We weren’t paying a big amount, but it was still a burden to carry for two years. Glad itwill soon be over. Yes, we all do. And it’s up to us, I guess, when we want to end that debt and be financially free. Exactly. Love how you described it- transaction tool and not a splurge ticket. Ihihi. We have the same philosophy when it comes to credit card – cashless transaction, not debt. So the moment I receive my statement it has to be paid in full. Para i dont have any worries. I’ve been into a credit card debt years back and it gave me headaches. Always with the question what do i have to do! Kase im a shopaholic and i got all credit cards from all leading banks. Until i gained knowledge about financial freedom and credit card debts. I cut all my cards and retained only one for travel purposes abroad. I always pay in cash now and it makes all the difference. Still challenged with shopping but i can control now (paminsan-minsan nalang!) Lol! Yay its good to be debt-free! Lemuel and I our goal this year ay mabayaran ang lahat ng utang namin. At makapag start na mag ipon. 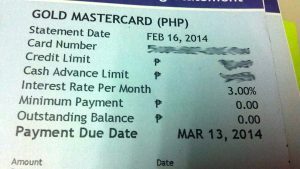 Ang hirap kasi mag ipon tapos may utang ka pang binabayaran parang di balance di ba? At talagang as long as we can hindi kami kukuha ng credit card. eheheh! Go for debt free 2017!!!! Plastic money can really be quite a monster if we do not know how to handle it properly. I have been a victim of that from a few lifetimes ago and I am glad to say that I am no longer a slave to credit card and would mostly pay off items I buy in cash. Not that I have amassed a huge amount of money, but because I have grown wiser than splurging on things I do not really need. Yes, we all ought to strive to be financial free. It is the next step to having a financially-secure life and future, not only for ourselves, but more so for our children. P37,000/monthly? wow! But hooray for being debt-free sis! Yey! That was years ago. May bago na naman akong utang. Ehehe. But after this, I plan to really not use my credit card anymore. Congratulations, Mommy Berlin! I have a credit card, too, where we charge our groceries and our son’s tuition fees, but hubby makes sure he settles everything when payment’s due. But we aren’t totally debt-free; we’re still working on that. Thank you. Now, I totally cut my credit card and no more temptation for impulse buy. Groceries and tuition fees can really eat up a lot of our budget but they are necessities and good investments. I think that is one of the greatest feelings to be debt free. I still have just a bit more but I will feel true financial freedom when I have a hefty nest egg and life insurance. Having life insurance really makes one feel somehow confident. And yes, being debt free can be liberating. What a wonderful feeling to be debt-free. Congratulations for such an achievement during these financially stressful times.